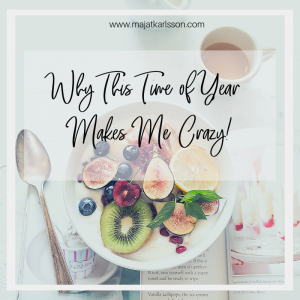 Why This Time of Year (January) Makes Me Crazy! Diet, Weight Loss, Restriction, YUCK! Find the best diet to lose that extra weight! Do the “X” cleanse – you’ll feel better than ever! 2019 – the year you’ll finally lose the fat and get fit! Get fit, get healthy, have a great year! It made me think about the challenge we as humans have to feel good about what we have and who we are, simply by living in our society. Unless we take definitive action to avoid them, we are constantly bombarded with advertising about how we aren’t good enough, we don’t have enough, we have failed again. A few weeks ago, I wrote about becoming an intentional consumer in 2019. At the time I was referring to physical items, such as clothing, household items, etc. Today I’d like to suggest that being an intentional consumer is also about what we are prepared to buy or not from the multi-billion-dollar health care industry. While there are many responsible, knowledgeable people providing health and wellness information and education, there are also all sorts of un-trained, un-educated people who are trying to sell you and me things. Because of marketing, it can be really easy to fall for the headlines and the promises and not know how to best proceed. I’m writing this message to give you some tools to make it all a bit easier to navigate. This message is not to tell you how you should or should not be eating. 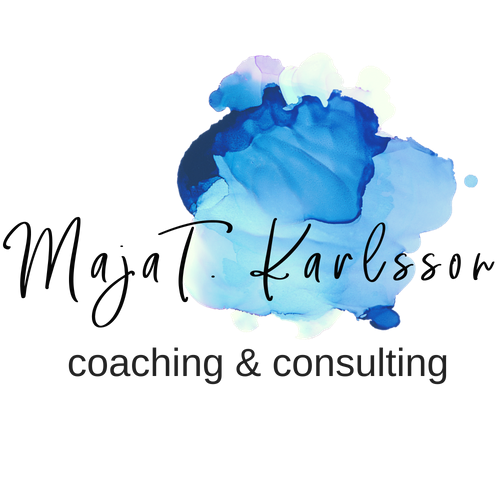 I also want to remind you that before I became a Leadership Professional and Coach, I have a science background and I’m a Registered Dietitian, so I’m pretty critical about most unproven diets and ways of eating that are sold here, there and everywhere. I also know that industry lobby can really skew how we look at food, nutrition and health. But I really believe that we can all make more informed choices. How can you make more informed health choices? First of all, consider who is speaking, writing or selling. To get you started, here are 2 dietitians who write/share a lot that I follow myself. They both have different approaches, and with both you’ll get lots of research-based information along with some yummy recipes! This first link is to the home page of Abbey Sharp. She is a new mom as well so has lots of info for other new moms! Be sure to check out the videos on her YouTube page – super funny! The link below is to Abby Langer’s webpage. I think that Abby’s dry no-nonsense approach is what really appeals to me. This particular link will take you to her most recent blog post – 6 diet and nutrition myths that need to die in 2019! Of course, these two are not the only people who have good advice to share. What are their credentials? AND are their credentials relevant? For example, doctors aren’t always the best source of nutrition advice as this article. In many cases a Registered Dietitian is your best bet. They have extensive nutrition specific education, should recommend things based on the newest science and if you are talking to them 1:1 will provide advice that is specific to you. If you’re looking for activity information, consider a kinesiologist or a physiotherapist. Or look for articles that quote people who have the right credentials. In Abby Langer’s post there is also a list of other reliable sources of nutrition you can check out. Is Food Medicine or Not? There is another issue that I think is a real problem with the health industry, so I’m closing with a comment on it and this article here. In the article the author, Dylan Mackay, reminds us not to mix up food and medicine. His basic message is that food is food and medicine is medicine and the health industry would love to mix the 2 up so that we buy more “special food” to be healthy. This article really hit me because of the paragraph part way down that states: “Food is culture, love, and joy. Medicalizing food robs it of these positive attributes.” Remember this as you approach your health in this new year. In addition to sustenance, food is meant to be a delicious opportunity for connection and celebration! This doesn’t mean you should make poor choices, but rather eat foods that make you feel good! There are many people writing on the internet or in your life who are happy to share with you their personal experiences with changing how they eat – and are happy to tell you that you should join them! But just because someone tells you they’ve started the newest nutrition fad (e.g. Paleo, Keto, Gluten Free, Intermittent Fasting, Cleansing, etc.) and it is working perfectly for them, doesn’t mean it is necessarily right for you. Make sure you reach out to a professional to find out. Maybe it is, maybe it isn’t. Do your own research. Make your own choices.